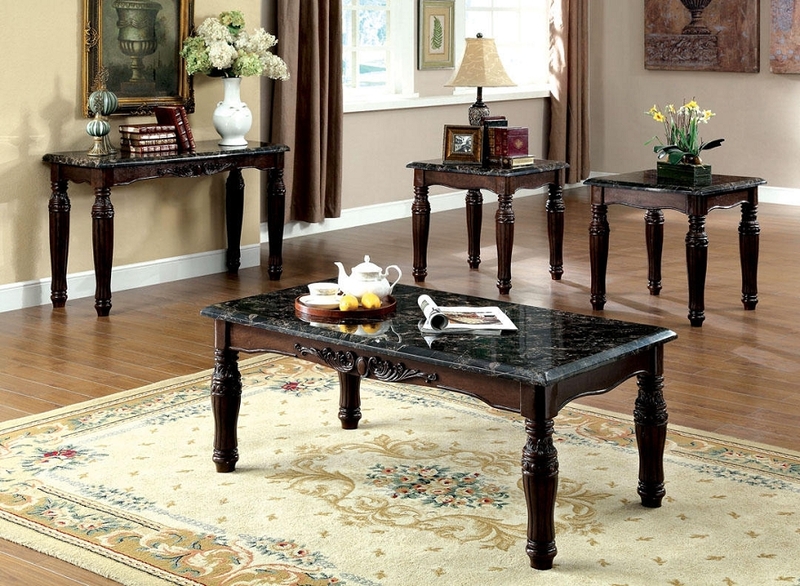 BRAND NEW 3 PCS SET TABLES, 1 COFFEE TABLE+2 END TABLES, TURNED LEGS, FAUX MARBLE TABLE TOP, SOLID WOOD & WOOD VENEER, ESPRESSO FINISH. ASSEMBLY REQUIRED. Copyright World Furniture. All Rights Reserved.